The project consists of an approximately 8,800 square foot pre-engineered/wood hybrid structure. 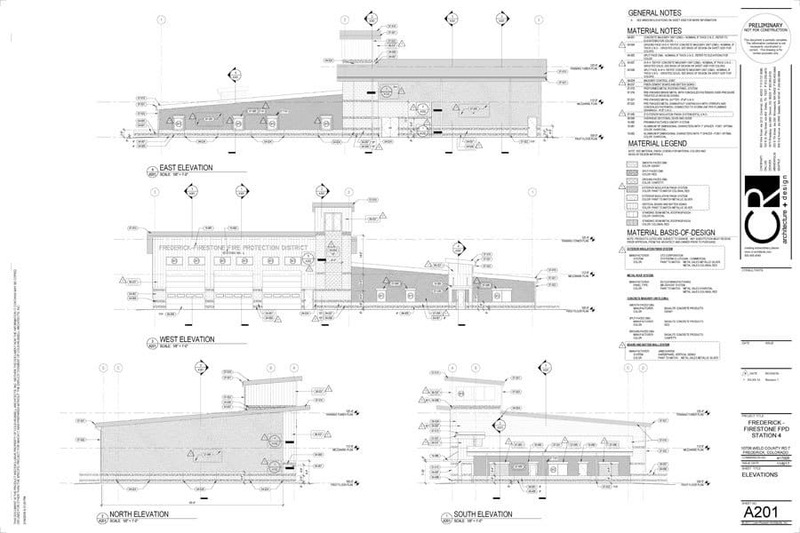 This fourth station for the Frederick/Firestone Fire Protection District features 3 apparatus bays and housing area. The apparatus bays feature multiple integrated training functions as well as a training tower. Housing area includes 4 bunk rooms, fitness room, dayroom, full kitchen and office areas.